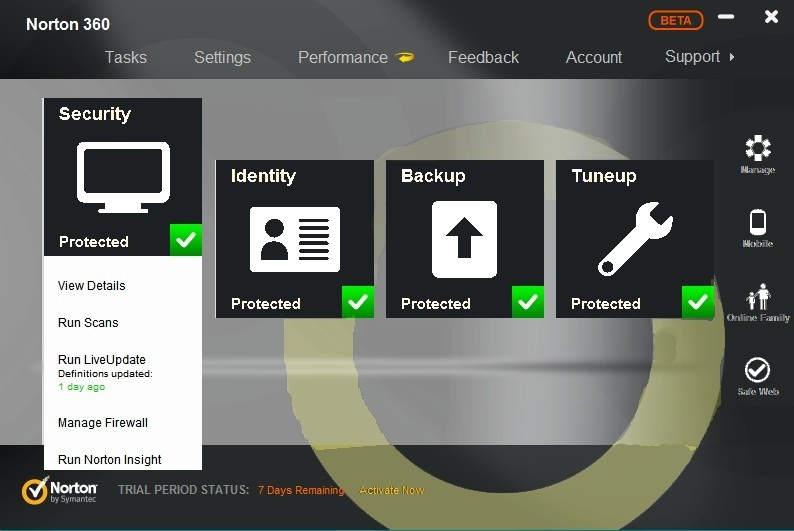 Do you want Norton’s complete featured security software which delivers advanced options including “Online Family”, then you got to try Norton 360 tool. As the name suggests, this security tool provides all around protection against dangerous and malicious viruses which are vulnerable your PC. Symantec had introduced the first version of Norton 360 in 2007 and was its initial product to use SONAR to spot zero-day viruses. The 7th version has been released in 2013 which is compatible with Windows 8. It includes Antivirus, Internet Security, Anti-spyware, Tune Up and Backup capabilities, which is worth trying for any PC and internet user. As 1 year license for single user (can be used up to 3 PCs) is bit expensive ($89.99), it is better to try for 30 days to know its set of security features. Or you can download 90 days of Norton 360 2013 software which is offered as part of promotion by PCWelt.de, a popular Dutch online website. This product has 3 months OEM license key provided for free. You could download using “Download” button below. 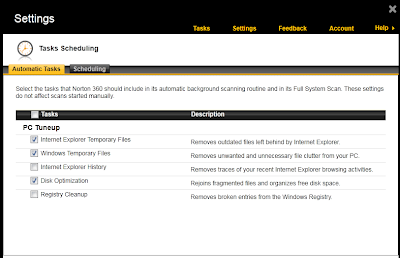 But before that let’s look at Norton 360’s complete specs, pros and cons. Finally Symantec has come up with an installation which doesn’t need a restart. As this 2013 version is compatible with the Windows 8 operating system, the sequence of completion is very impressive. The installer asks to participate in Norton’s behavior-based detection engine called “Quorum”, to send authorless data to Symantec’s cloud. This is an optional step and you can skip it quite easily. Whether you are using the trial version of 30 or 90 days, a small registration is needed to run the program without any annoyance. Overall, the setup experience is fast, impressive and convenient. Coming to its interface, a major turned around by Symantec as it has been optimized for Windows 8 and touch screen operating systems. The design also resembles the style of Windows 8 Metro feature. There are tiles-like buttons for “Security”, “Identity”, “Backup” and “Tuneup”. The status of every option is placed below with the related symbol next to that. It offers exclusive Norton protection system and Defense Layer Protection to get rid of online viruses and threats with 5-layered detection and accurate removal. New Threat-Removal Layer – Eradicate onerous and hard-to-remove threats. Improved SONAR Behavioral Protection and Live 24x7 Threat Monitoring. It offers backup of your important files, photos and other stuff using “Automatic Backup” feature. PC Tuneup – Cleans up unnecessary files and folders, repairs general PC problems, and frees up memory, which improves your PC performance. Anti-Phishing Technology – Detects phishing websites which are meant to sneak into your PC and rob your sensitive information like passwords, identity, etc. Exclusive Parental Control Management called “Norton Online Family”, through which you one can safely keep their children out of adult online content. 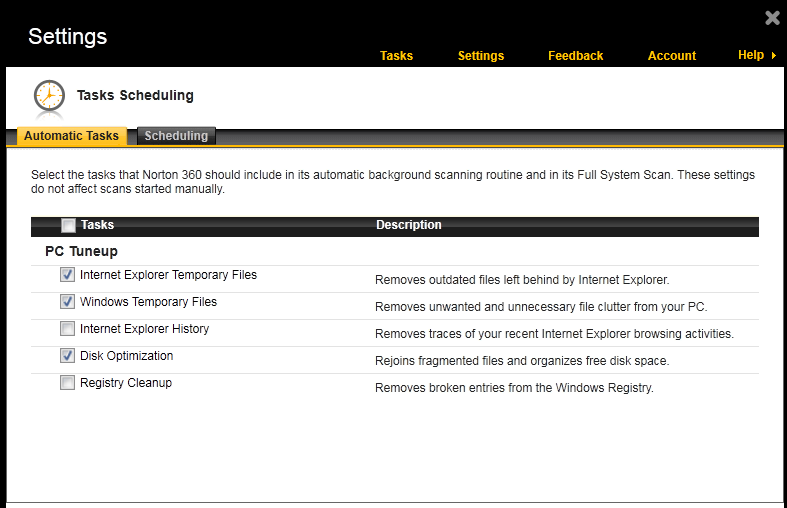 Norton Pulse Updates – Examines your PC protection level every 10 minutes without disturbing your regular work. Web-based Backup – The data you have backed up can be downloaded anytime, anywhere via the cloud. It checks Facebook “News Feed” for malicious links, unsafe websites and downloads. Also it has exclusive features of Norton Antivirus and Internet Security like Norton Identity Safe, Norton Insight, Safe Web, Browser Protection, Download Insight 2.0, Vulnerability Protection, Bandwidth Management 2.0, and free 24x7 live chat through phone or online. With the Windows 8 support, web-based paid features and comprehensive protection, Norton 360 is the best recommended security product although some of the PC and internet users have complained about performance slow down and inability VPN connection.